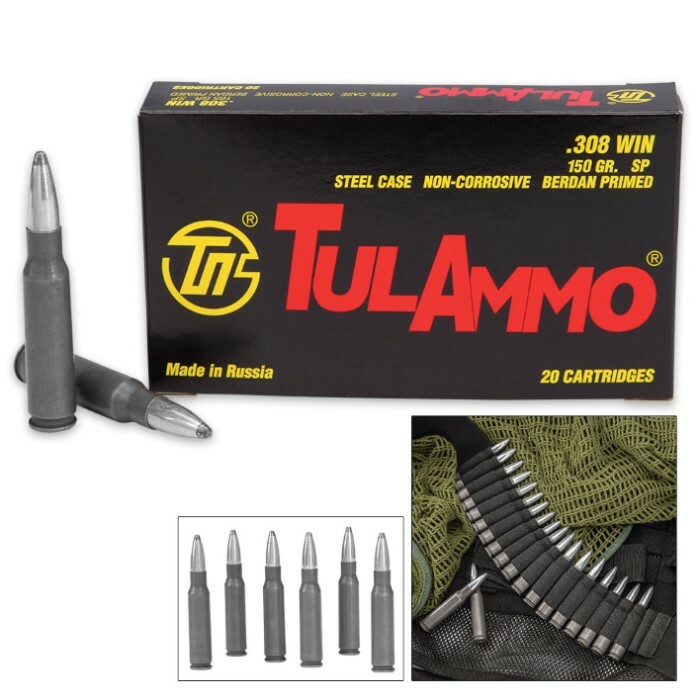 Tulammo 308 Winchester 165 Grain Ammo - 20-Round Box | BUDK.com - Knives & Swords At The Lowest Prices! The Tulammo 308 Winchester 165 Grain Ammo cartridge is great for sporting and hunting shooting. 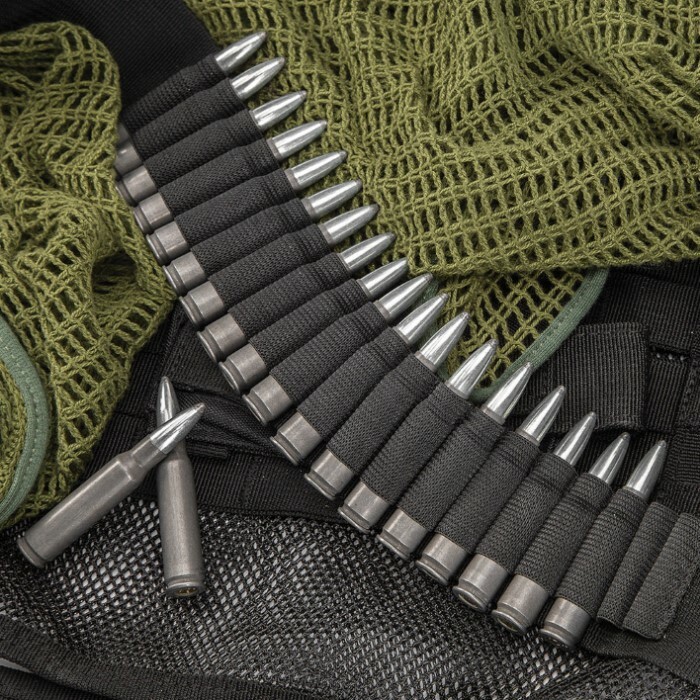 It’s not only reliable but it’s premium ammo at an affordable price. 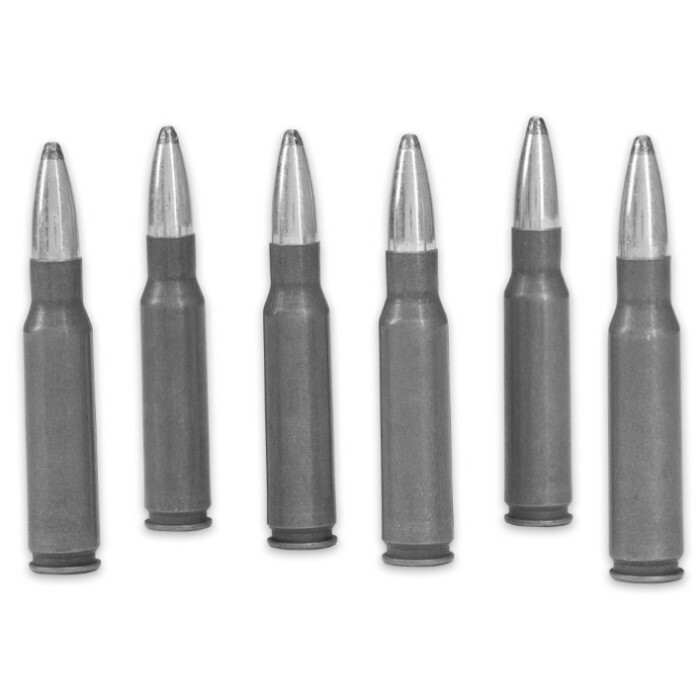 This cartridge keeps its qualities under various climatic and weather conditions and is a 165 grain, steel case, 2625 fps projectile. It is Berdan primed and made of a non-reloadable steel case. This is a box of 20 rounds.